Just Inklined card with you all! You can pick up the CD at a snip, as it's on sale at the moment. My card base is Kraft card. Aren't they a really cute couple! Then die cut & inked with Vintage Linen Distress Ink. The papers I've used are from Lidl. It's actually a double sided paper. of die cut clock faces which show the numbers of the anniversary date. The lace, button twine & button are all from my stash. I addded a plain manilla insert. Thanks for popping in, I hope you enjoyed my card. Okay I gave an inappropriate giggle on this one, lol. Absolutely brilliant! I love the images and another gorgeous layout too. Oh this is a fabulous card Dawn, there has not been one of your Inklined images I have not loved, they are such fun, and your layout are always beautiful. 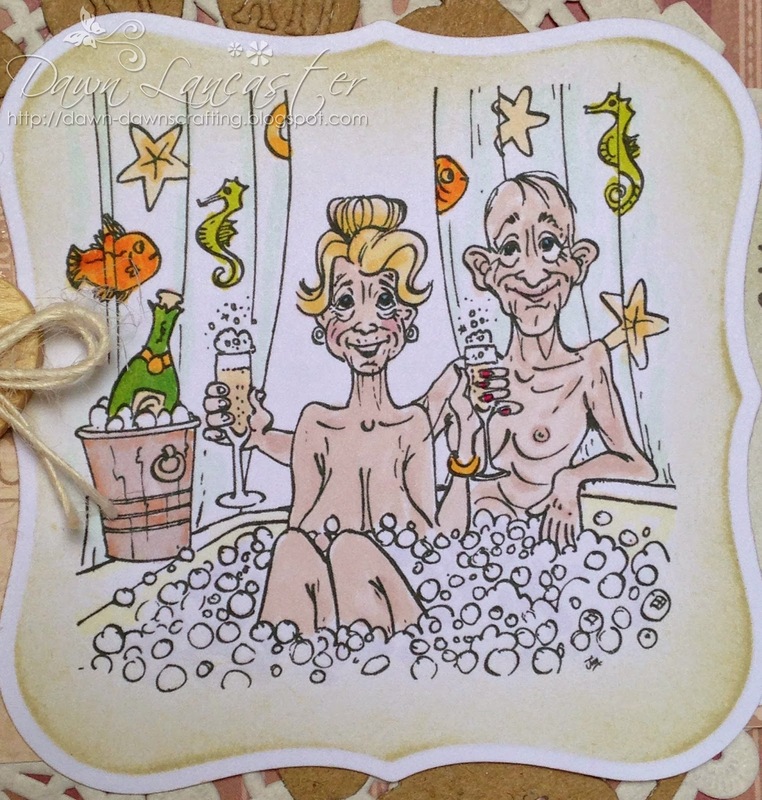 hahahahahaha fab and fun image what a great and beautiful card Dawn. Lol, the image has got wonderful character and so perfectly incorporated into your creative design. 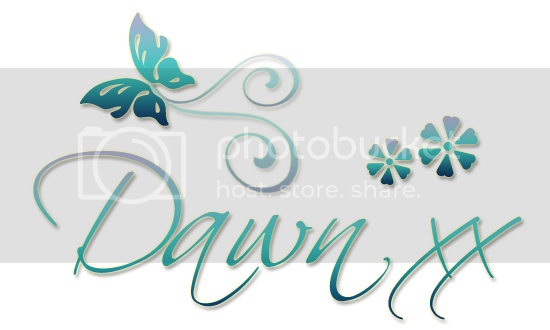 Such a fun image Dawn - really amusing - love it!! Great design. A brilliant card Dawn, I love your fun image and fabulous design. Absolutely love your card Dawn! What a happy couple! This one not only brought a smile to my face, Dawn, it has me actually laughing. Fabulous! Loving all that fun element, fabulous card! Amusing and Fabulous!Thank you for joining us at The Crazy Challenge this week,good luck! ha ha ha, made me giggle! Thanks for taking some "me" time and joining in our challenge at Paper, Makeup, Stamps! Wishing you the best of luck! Fab card Dawn. The image made me smile. Super FUN card! LOL! Thank you for joining our "Inspired by a Song, Book or Movie" Challenge this week at Love to Create. OMG!! Love this image and your design is fabulous!! Thanks for sharing your wonderful card with us at Love to Create Challenge Inspired by a Song, Movie or Book.